Martin was born in New York City and grew up in Los Angeles. He remains a New Yorker in his loyalty to the Yankees and the Giants. He has been working at Goodway as a printer for 18 years. 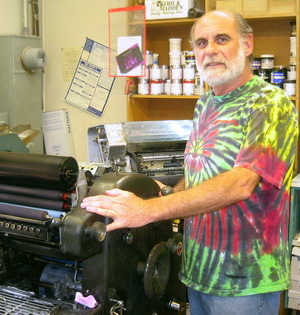 He has been working a printing press since junior high, and it shows in his work quality. He has many fond memories of Goodway, especially the box seats at a basketball game that Leslie and the staff attended together. In his spare time, Martin watches sports and flies kites—he once won second place in a national kite-flying tournament!